Naomi Ayala‘s book, Wild Animals on the Moon (Curbstone Press, 1997) was selected by the New York City Public Library as a Best Book for the Teen Age. Her newest book of poems, This Side of Early, was released by Curbstone in March 2009. 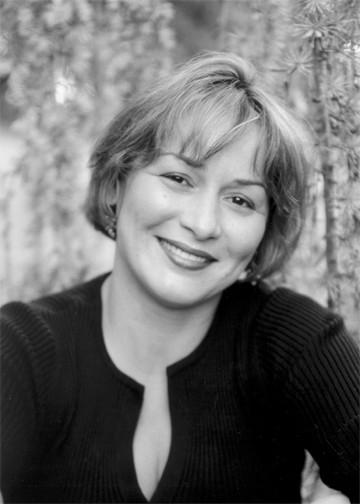 She is included in several anthologies, including Seeds of Fire: Contemporary Poems from the Other USA (Smokestack Books/U.K., 2008), The Wind Shifts: New Latino Poetry (University of Arizona Press, 2007), and Boriquén to Diasporican: Puerto Rican Poetry from Aboriginal Times to the New Millennium (University of Massachusetts Press, 2007). A Native of Puerto Rico, Ayala resides in Washington, DC, where she serves as the Executive Director of the Capitol Letters Writing Center, and teaches at The Writer’s Center in Bethesda, MD. Her third book of poems is scheduled for release by Bilingual Review Press in 2010.